The sky was very clean, we coud even see Croatia’s mountains on the other side of coast. Venus was already there at about three quarters of her journey across the solar disc. 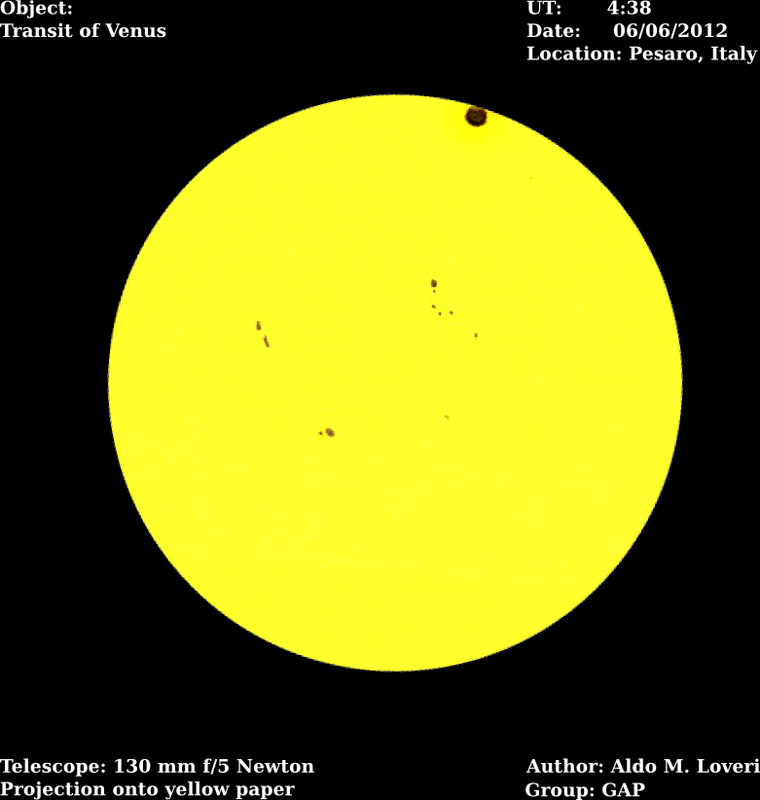 I used a 32 mm plossl eyepiece to project the Sun on a yellow sheet of paper and marked the sunspots and Venus with a pencil. This drawing pictures the third contact. Very fine capture of third contact.